The community is invited to Mohave Community College to meet the people behind the Arizona non-profit veterans group helping the college create Veterans Centers on the college campuses. Support, Education and Employment for Vets, or S.E.E.4VETS, is donating nearly $15,000 to help MCC bring the centers to Mohave County. The first MCC Veterans Center was placed on the Kingman campus last fall and was so successful and popular with veterans that two more were developed at the Bullhead City and Lake Havasu City campuses. Funding from S.E.E.4VETS made these centers possible. 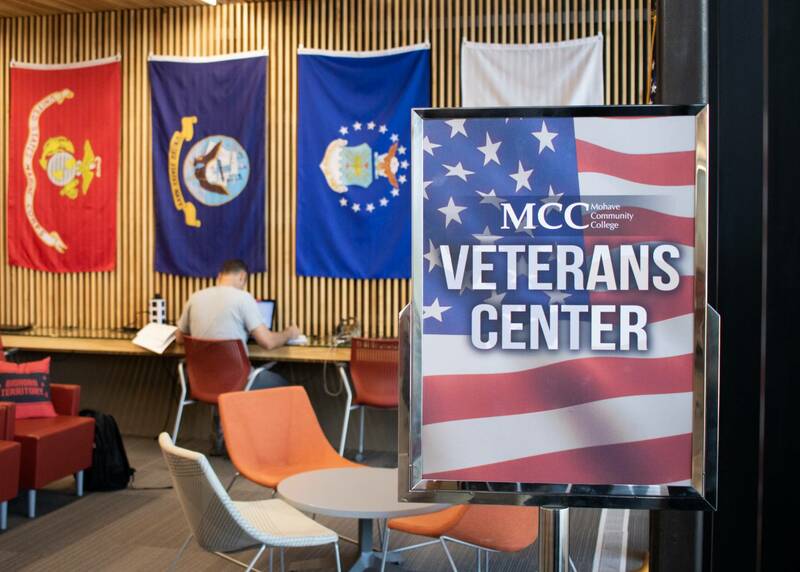 The Veterans Centers are all located in the campus libraries and are set aside exclusively for MCC students who are veterans, or family members of veterans. Inside each center are computers, study and reading areas, and resource boards that include veteran services information from local community agencies and business. 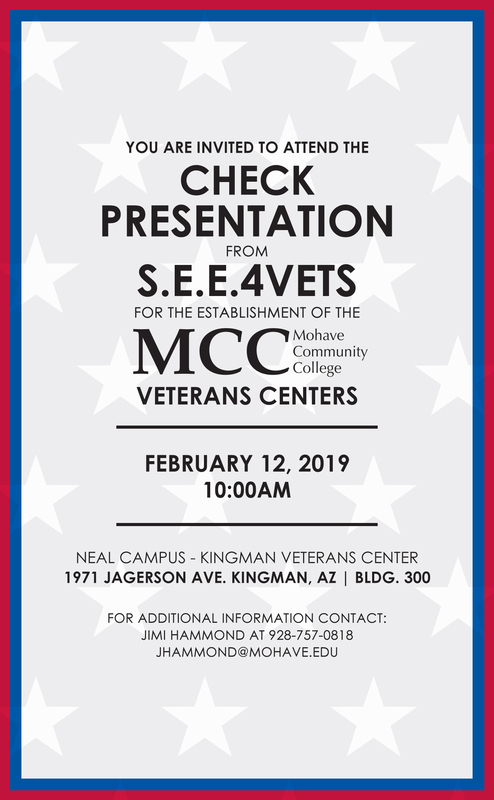 Please join Mohave Community College and S.E.E.4VETS for a check presentation on February 12 at the Kingman Campus, 1971 Jagerson Avenue, in building 300 at 10:00 a.m.
For more information contact MCC Veterans Services Coordinator Jimi Hammond at 929-757-0818 or email her atJHammond@Mohave.edu.